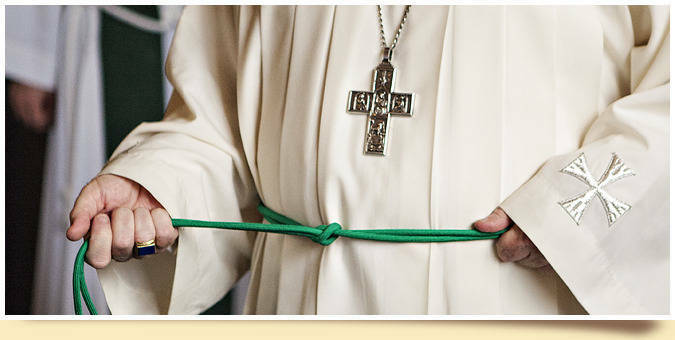 Holy Orders, a sacrament at the service of communion, permanently marks man to God. Invested with sacred power and dedicated to the good of the whole Church, the priest acts in persona Christi Capitis - and Christ himself is present. Whether a bishop, priest or deacon, the individual devotes his life to serving God for the salvation of others. The sacrament of Holy Orders is not about an individual’s desire - it is about a humble response to a call from God. www.vocation-network.org or please call the Parish Office at 719-495-2351 and talk to Father Andrzej.